I’m a 4th year Computer Science student in the University of Lleida and I will be graduated this year. This is my last year in the university, at least for the moment, and I’m really motivated to start applying all my knowledge on the Liquid Galaxy project, and learn more about it. The summer of 2012 I did an internship in Symantec in Poland, I was there for 3 months and I worked in the team of I18n. The tasks I did there consisted in setting up and adapting a framework called STAF automation for performing automated tests on the installation of a real Symantec product called Altiris ITMS. This framework was implemented to run tests of the products of Symantec. Then I learn to install Altiris ITMS Product and I started running the tests on this installation. I documented all the steps on a wiki page with images and videos. I’m an active member of IAESTE ; The International Association for the Exchange of Students for Technical Experiences, that provides students in technical degrees course-related training abroad, over more than 80 countries. The last semester I did an exchange to Mexico at the Universidad de Guadalajara, which allowed me to look at the world from a different point of view since their culture is considerably different from the European. The experience of studying abroad and so far from home has also made me more independent and I have become much better at solving any kind of problems which I may face. One of my passions is to travel around the world to discover places, see new things, and meet wonderful people; that’s why I have chosen two projects that involve traveling. I have used google Hangouts thousands of times to make video calls with my family and my friends when I was travelling and it was really useful. Because of that I would like to implement something about it on LG. The other project is also related with travelling, but virtually. I’m actually linked with the Liquid Galaxy project thanks to Andreu Ibáñez, that has given me the opportunity to do my end of career project at the Liquid Galaxy Lab. I also would like to mention Ismael Arroyo and Marc Gonzalez that will be working in the same LAB like me with their respective projects, but will give me a hand with the Liquid Galaxy setup. The program is thought to run on a web browser (actually WebRTC supports Chrome, Mozilla and Opera) this makes it multi platform and much more useful. The tour inside the museums using Google Street View. The virtual gallery with HD images of the art pieces. To implement both on LG I’ve thought that Peruse-a-Rue would be a good tool to work with. Using Google Art Project on a LG I think that will feel like if you were actually inside the museum and it’s a really good idea to promote the culture to the people from around the world. The idea is to program a two sided application, one will link to existing Art project contents, allowing people to select to what places they want to go in a usual web touch screen interface, the other will be implementing this visualization on peruse-a-rue. This will make also a very good use case for Liquid Galaxy for exhibits and events, as a LG using this software will become a virtual system to visit lots of interesting museums around the world. 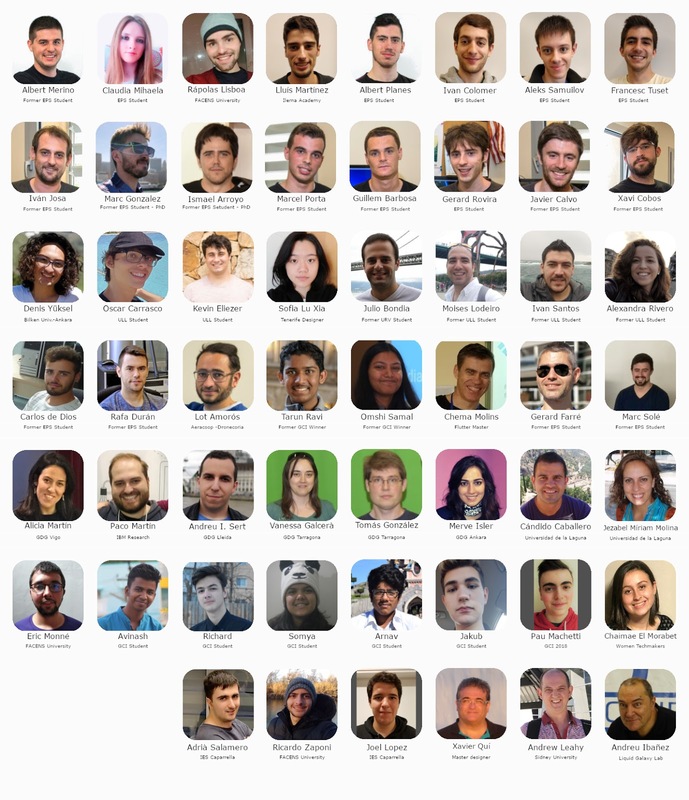 I really appreciate all the work done by the mentors to guide us with our project and I would like to thanks all of you for reading my letter about my ideas for the project. For us, that we are beginning in this world of technologies, Google Summer of Code it’s a really good opportunity to keep learning new things and use Google technologies. My PhD is about monitoring and benchmarking, and proposal of performance upgrades on Cluster Display-Wall aware applications. To complete that objective Liquid Galaxy has been chosen to be the test bench. I have observed that lots of the Liquid Galaxy rigs out there are a very expensive hardware configuration. My aim is to reduce the hardware requirements by optimizing the applications used on it. - CPU, Memory and Network utilization. - Cache hits and misses. This project will bring some benefits to the Liquid Galaxy Community. With the solution I am planning to develop it will be easier to diagnose possible bottlenecks, which are one of the main problems when running any tool that uses networking, in Liquid Galaxy. For those willing to use the Liquid Galaxy Technology, we’ll provide tools that aids them to know in which way the system can be improved. Scripting Languages: Bash, Perl, Python, etc. the Discuss the project details with my mentor. Do a strict definition of how all project parts must be implemented.